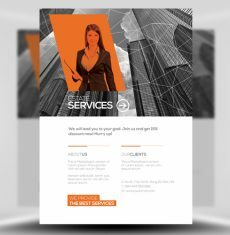 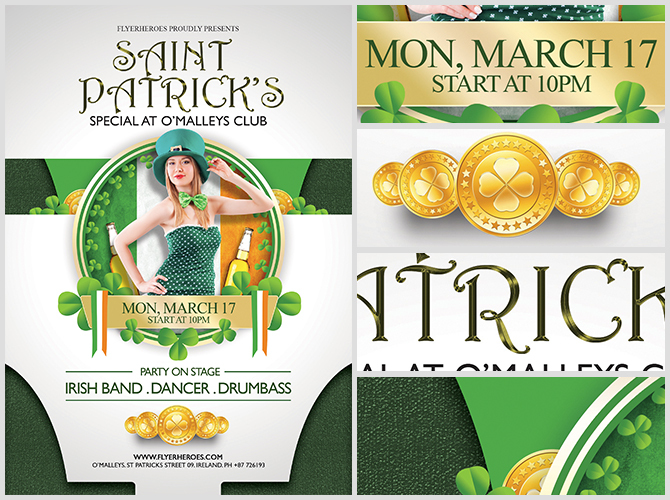 O’Malley’s St. Patrick’s Special Flyer Template is clean, crisp and easy to use. 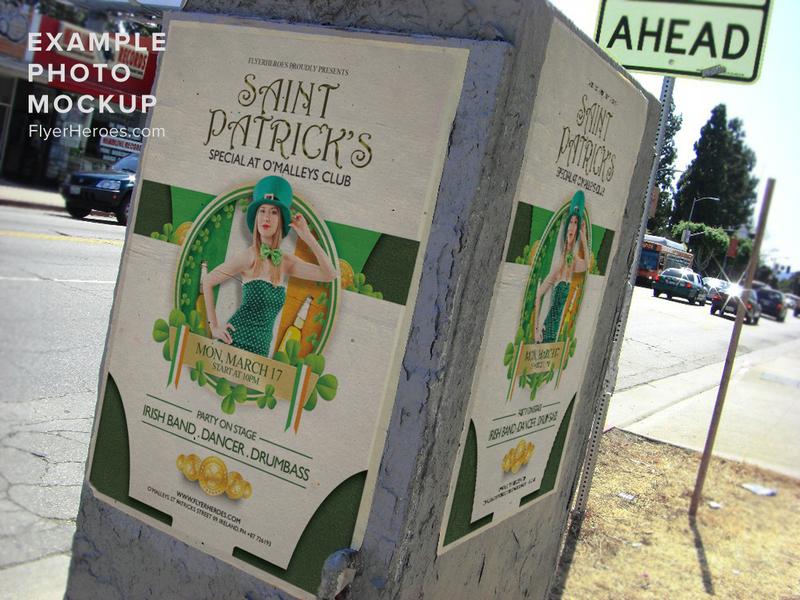 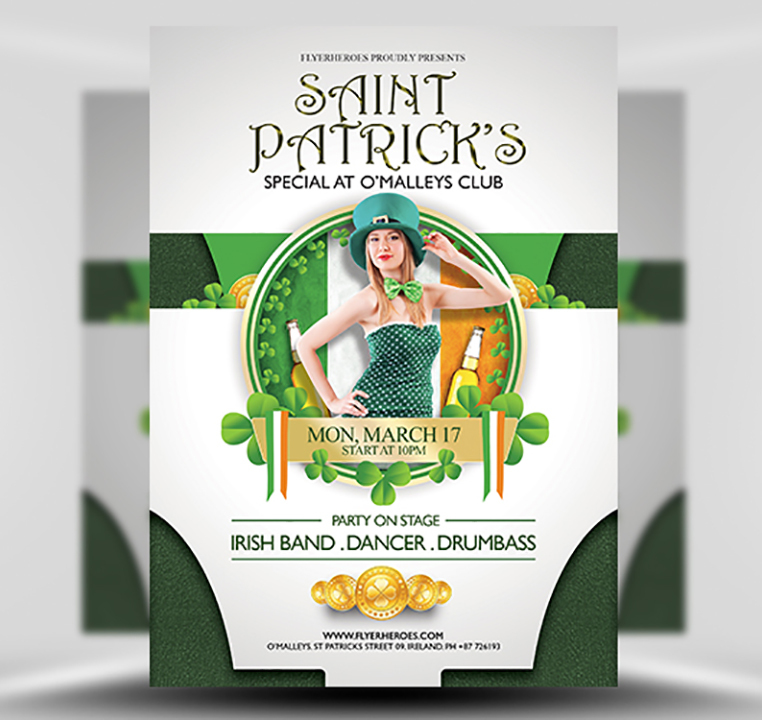 Edit this St. Paddy’s Day Flyer Template in Photoshop and have yourself a unique Irish themed flyer in minutes! 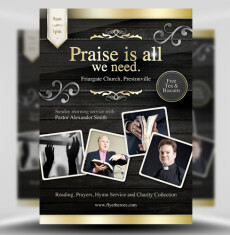 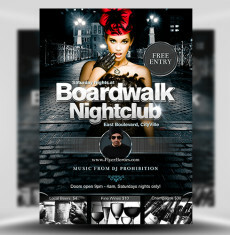 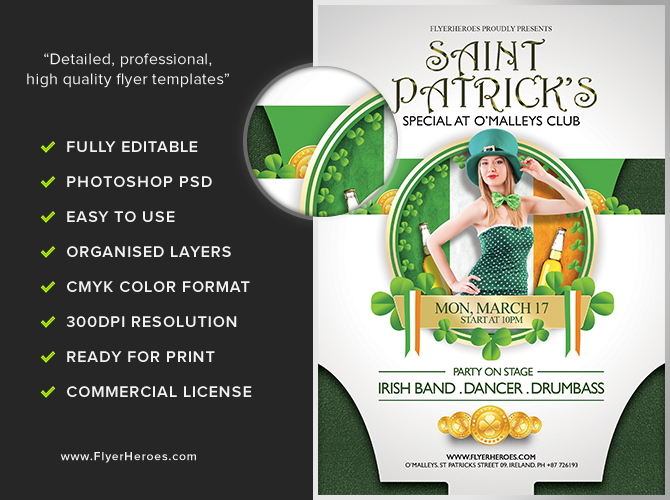 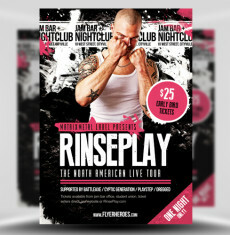 O’Malley’s St. Patrick’s Special Flyer Template is a premium Photoshop PSD flyer / poster template designed by FlyerHeroes to be used with Photoshop CS4 and higher.